Amanda Blue joined Healing Transitions in July of 2010 and is currently serving as Director of Programs. 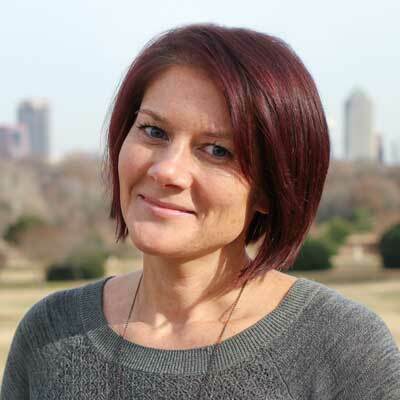 Amanda oversees the long-term recovery program, non-medical detoxes, emergency shelters, child and family services, health care services, transition case management services and outreach services for Healing Transitions’ men’s and women’s programs. Amanda is a Licensed Clinical Social Worker (LCSW) and a Licensed Clinical Addictions Specialist (LCAS). She received her BA in Applied Psychology from North Carolina State University in 2005 and her Masters in Social Work (MSW), also from North Carolina State University, in 2008. While pursuing her MSW, Amanda was introduced to Healing Transitions while taking an Addiction Recovery course taught by now Executive Director, Chris Budnick. Prior to her work at Healing Transitions, Amanda worked with homeless women at Urban Ministries’ Helen Wright Center. She is passionate about social justice and is integrally involved in efforts to advance availability and accessibility of resources in the community. Her favorite part of working at Healing Transitions is getting to be a part of something greater, to experience a place where love is truly unconditional and where hope comes alive. As do so many others, Amanda considers Healing Transitions home and all those who have been within its walls, family.